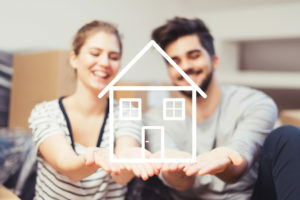 Whether it’s because of the region’s economic prosperity, infrastructure, robust housing market, or any other number of reasons, a growing number of couples and families are choosing to buy homes and settle in both Toronto and the Greater Toronto Area (GTA). Toronto is one of the most liveable and productive places in North America and it has experienced dramatic growth over the decade. With a population of 2.75 million, Toronto is Canada’s largest city; meanwhile the Greater Toronto Area, with a population of roughly 6.5 million, is the most populous region in the country. It is also the business and financial capital of Canada and the second largest financial centre in North American by employment. Thanks to this economic diversity, the GTA has developed one of the world’s best infrastructures, making world-class neighbourhoods more engaging and easier to get from place-to-place. In 2018 alone, the city invested $720 million on major infrastructure projects. It’s not a surprise that the GTA is one of the most desirable areas for couples to move to. Despite challenges that have negatively impacted other parts of the country, the real estate market in Toronto remains resilient, where housing prices are robust, demand is high, and supply is low. Because of higher borrowing costs with stricter lending rules, this has made the GTA one of the best places in the country to invest in mortgages secured by residential real estate. While these headwinds have forced some to move to the sidelines, higher-quality borrowers are looking to Mortgage Investment Corporations (MICs) like Mortgage Company of Canada to make their dream of home ownership a reality. MICs have become increasingly popular with potential homebuyers since Ottawa introduced a large number of strict lending rules; rules that have unnecessary burdened borrowers that would have, not so long ago, had no trouble being approved for a traditional loan. At the same time, these stricter lending rules have shown higher quality borrowers just how much more flexible, convenient, faster, and easier it is to work with Mortgage Company of Canada. The majority of these mortgages, 84%, are located in the GTA. Of those, 76% are made up of first mortgages. Overall, 56% of our mortgages secured by residential real estate matures in six months; 100% matures in less than one year and are up for renewal. Because of this, Mortgage Company of Canada has been able to provide investors with an above average, annual dividend yield of 9.86%, with distributions paid monthly. Had you invested $100,000 with Mortgage Company of Canada in 2009, in November 2018, that investment would be worth $260,783. 1. “November Newsletter,” Mortgage Company of Canada web site, last accessed January 10, 2019; https://www.mcoci.com/wp-content/uploads/2018/12/Mortgage-Company-of-Canada-November-Newsletter.pdf.